Tulips are my favorite flower! I dreamed of my wedding bouquet being a large handful of tulips – simple, yet elegant. My wish came true three years ago when I married the love of my life! My dear friend, Esther, crafted the most beautiful bouquet for me. We moved into our new (old) home in the fall and had no idea what was planted in the yard. 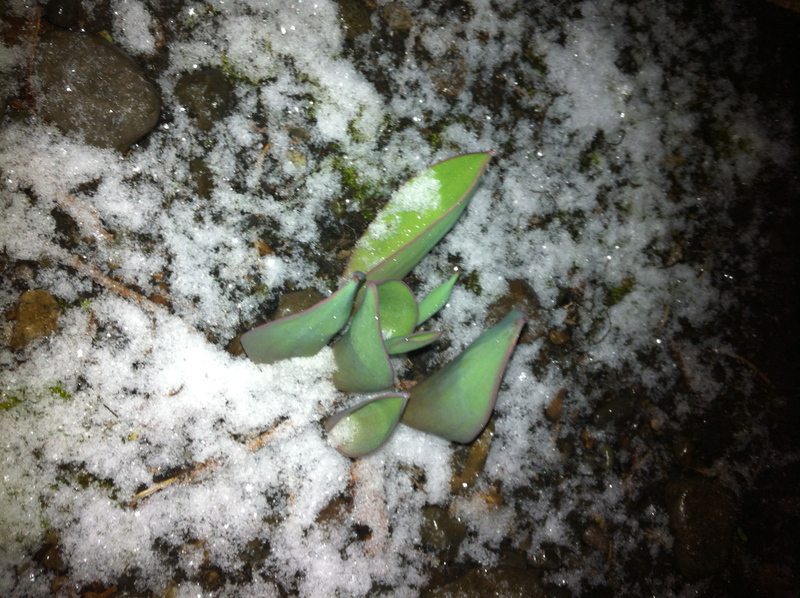 When spring came, I was excited to see a few little tulips emerging from the wintery ground. Last spring, my little tulip out front that bloomed was taken away by someone in the neighborhood before I could even enjoy it! I was not to be out-smarted this spring and I began to watch for this little guy early on! Once he began showing his green, I watched and watched, waiting for his arrival. He endured a lot after his journey to the upside of this earth – rain, wind, and SNOW! Finally, it was time! He exploded in a beautiful red! Exactly one week ago, I procured the little tulip from the garden before anyone else could and gave it to my husband for his birthday. It has sat on the dining room table all week. I did not take a picture of it in it’s original state, but this one is similar – all bound up tightly, ready to embrace the next phase of it’s journey! 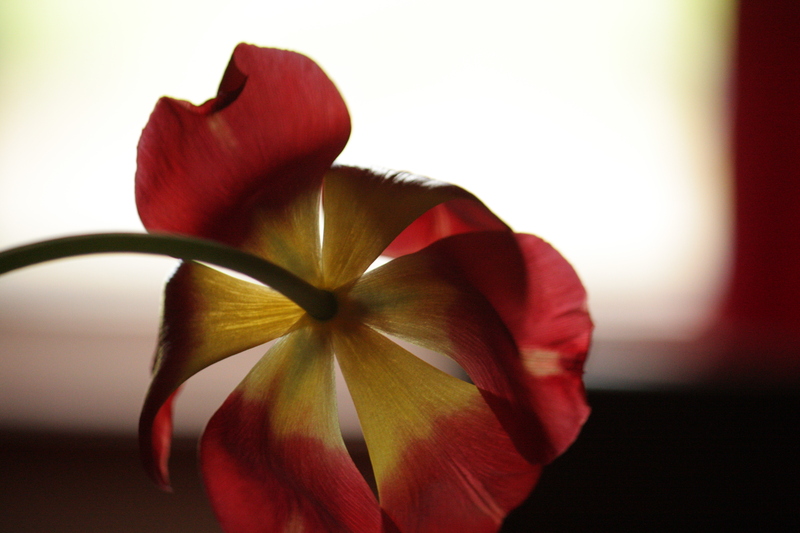 As the week wore on, I began to notice the lone tulip sitting on the dining room table, it’s neck stretched towards the light of the bay window. That narrow stem was holding up the weight of the flower. As the week wore on, he began to droop a bit, but still stretched towards the light. He opened up wide, as if to welcome in any light and strength he could. I feared his journey was coming to an end and each day expected to see tulip pedals sitting on the table, with pollen scattered near by. Come Saturday (five days after picking) I noticed that he seemed strong, opening his arms to the light even more! The next day, he seemed to be listening even more… longing to hear anything and everything he could before his life came to an end. 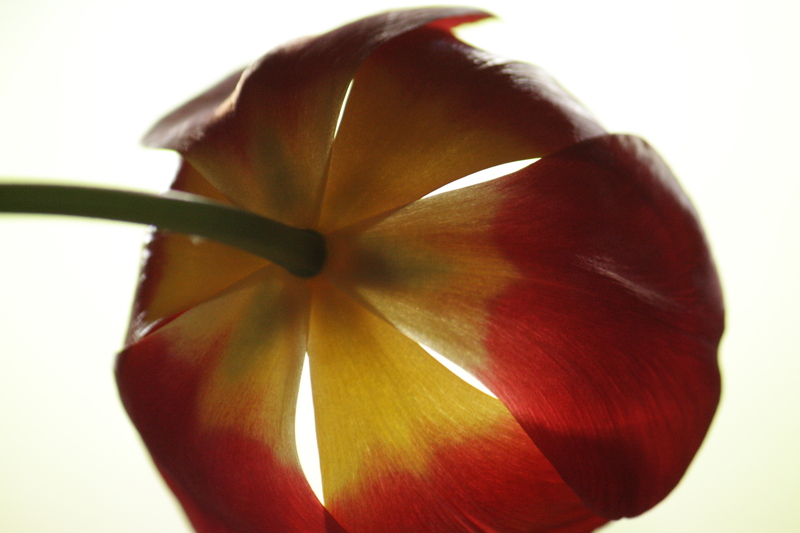 I’ve never watched the journey of a single tulip so closely, but this one has drawn me in. I don’t usually hear God in audible ways, but I do hear Him through things I see and notice. This little flower has spoken a message to me this week that has left an indelible impression on my heart. We are fragile beings, yet sturdy in the way we were created. We start out tender as we emerge into this world. We then grow strong and seem to be invincible. As we mature and are chosen for our calling in this life, we stand tall and proud. As life continues on and we age, we begin to droop a little. Life can be hard. Those dark times when the sun is not shining, can seem to be enough to take us down. We have a choice. We can choose to just let our stem droop and eventually let our pedals drop off, or we can stand tall and seek out that which will sustain us. 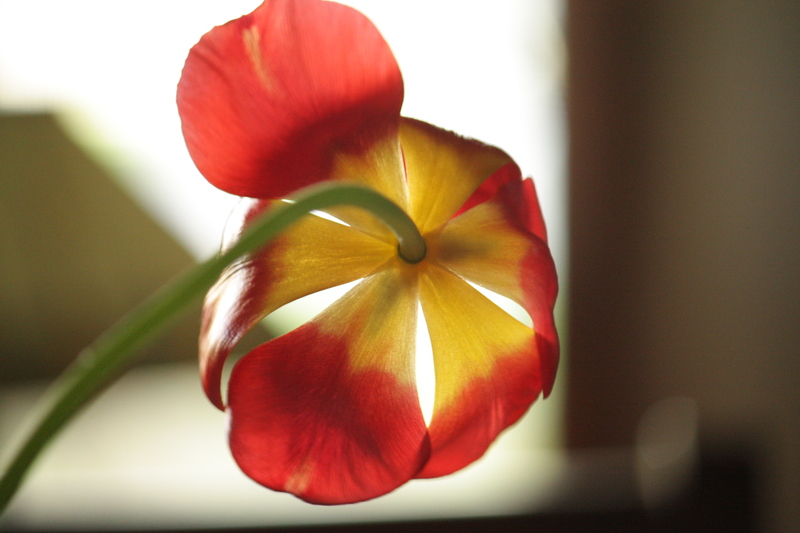 In the tulips’ case, it was the sunshine coming from the bay window. He would take it in whenever he possibly could to hold him during those darker days. When things seemed to get more difficult, he lifted a pedal as if to draw more light in. We can do that… if we choose. It’s a conscious choice every day, to welcome in the Son of God to our lives. When necessary, we can draw in even closer to listen for the whisper that we are His beloved and there is nothing too big for Him. Yes, our pedals will eventually fall and we will end our journey on this earth, but why not live with our whole being stretched to the Son every day… even when it seems dark. 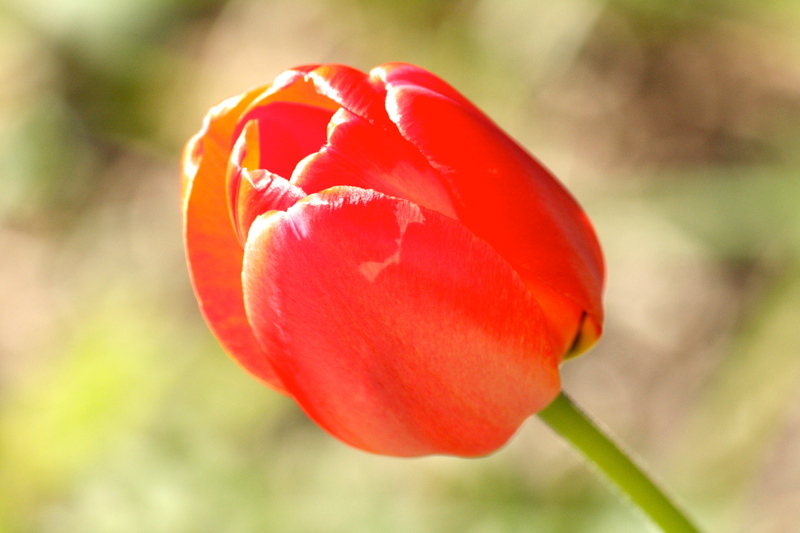 If God made simple tulips strong, imagine how much stronger he made us!